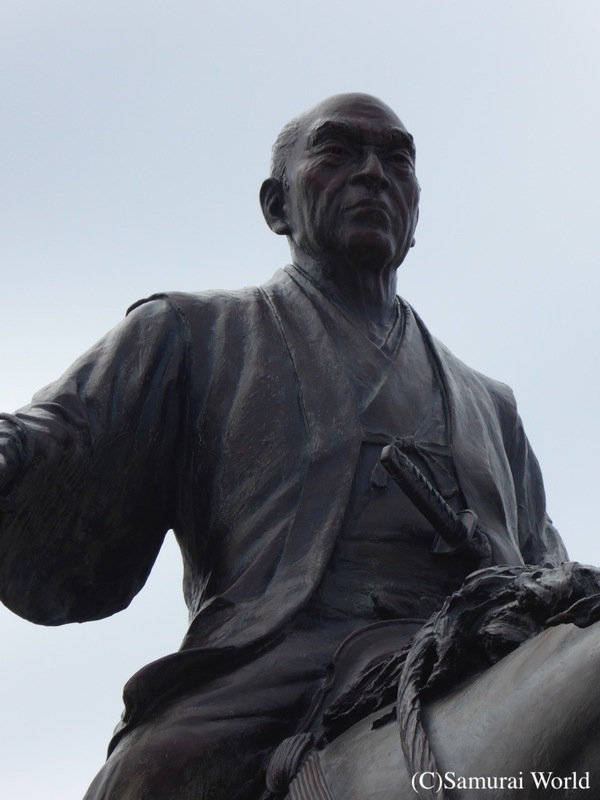 Hosokawa Sumimoto was a Muromachi period samurai general and supporter of the 11th Shogun, Ashikaga Yoshizumi. 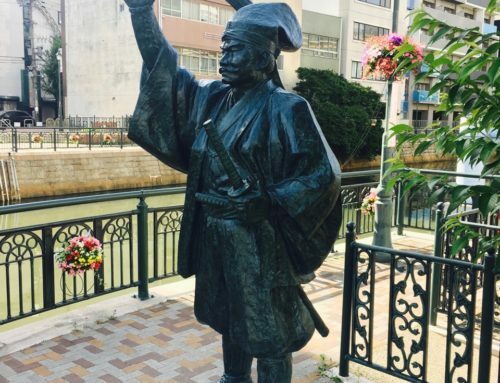 Born in Awa Province in 1489, he was the 6th son of Hosokawa Yoshiharu, but later adopted as heir to the deputy-shogun, Hosokawa Masamoto. 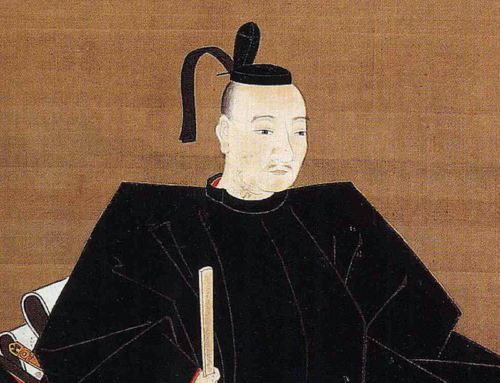 Masamoto had already adopted another clan member, Hosokawa Sumiyuki as heir, but altered his decision to make Sumimoto heir, causing animosity between the two “brothers”. 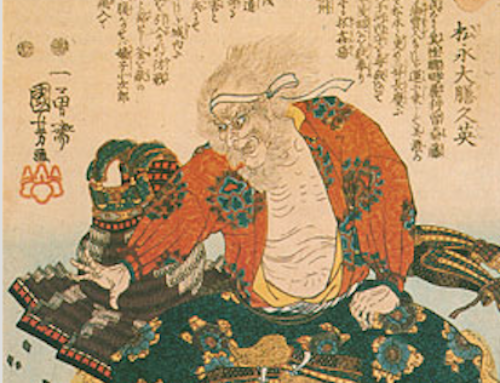 In 1507, Sumiyuki and his retainer Kozai Motonaga broke into Masamoto’s home, and killed him while he was taking a bath. The pair then attacked the 19-year-old Sumimoto, who fled to Koga in Omi Province (Shiga Prefecture). 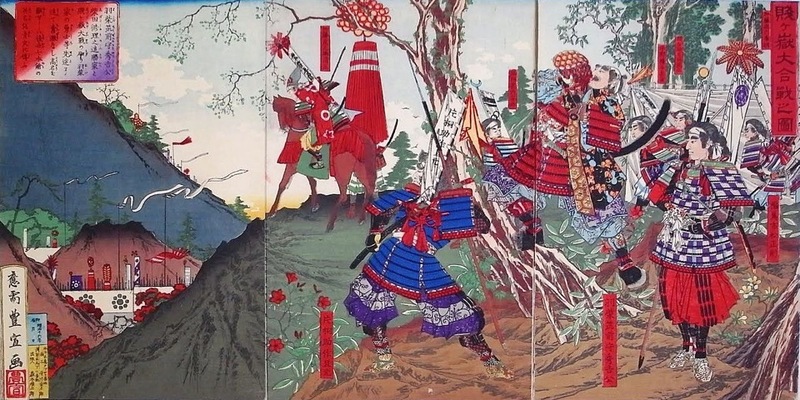 In revenge, Miyoshi Yukinaga, a powerful Hosokawa clan retainer raised an army and attacked and killed Sumiyuki. This allowed Sumimoto to claim his rightful position. 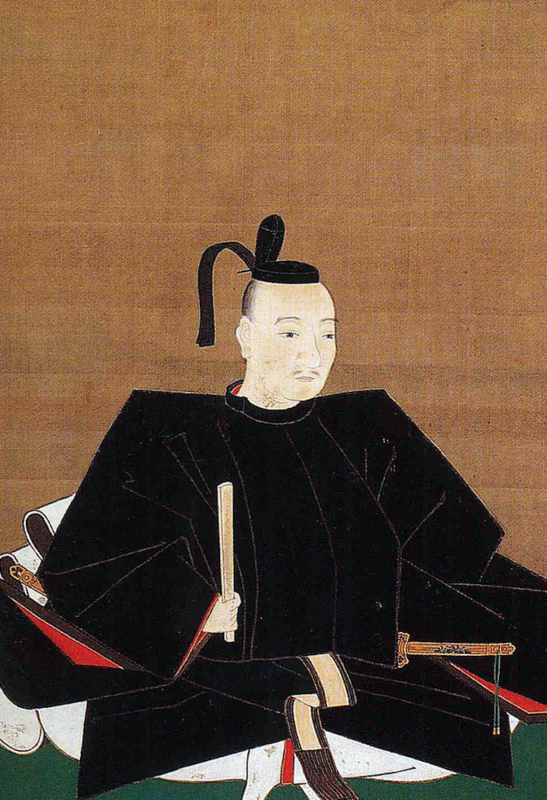 Sumimoto’s step-father, the late Masamoto, had deposed the 10th Shogun, Ashikaga Yoshitane in 1493, and replaced him with the puppet, Ashikaga Yoshizumi. 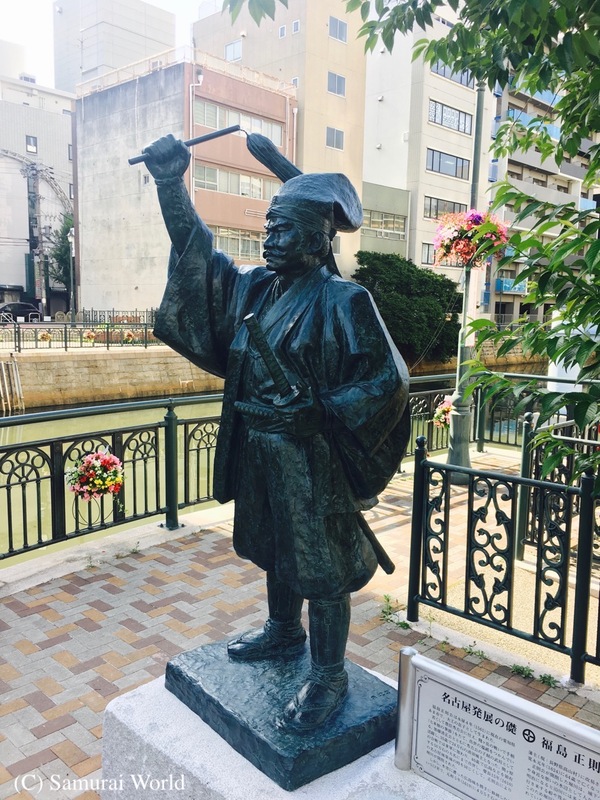 Yoshitane had sought refuge with one Ouchi Yoshioki, who raised an army and marched on Kyoto, removing Yoshizumi and restoring Yoshitane in 1508. 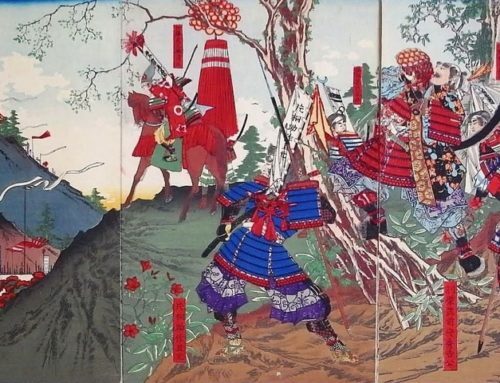 Sumimoto was exiled to Omi, and while he plotted to battle with Ouchi Yoshioki, was defeated at the 1511 Battle of Funaokayama. 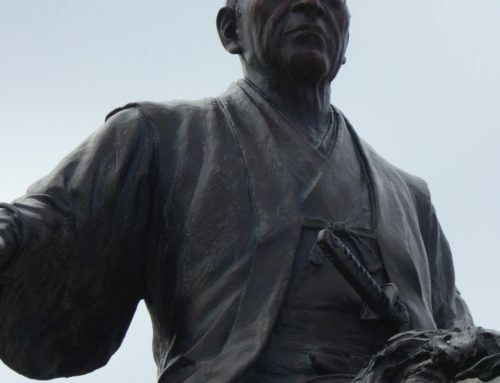 Seven years later, deeming Yoshitane to be safe and in control, Ouchi Yoshioki left Kyoto. Sumimoto saw this as an opportunity, and again raised an army. 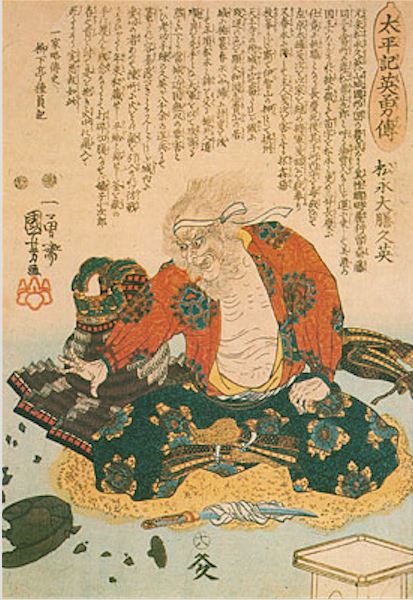 Miyoshi Yukinaga led the initial attacks, but was captured and forced to commit seppuku. Meanwhile Sumomoto was unable to reach Kyoto due to illness. Instead he fled to his domain in Awa and died shortly after on June 24, 1520, aged 31.